When you live in a busy city it’s hard to tell smog from fog. The best time to catch fog is before sun up, in the countryside. In movies fogs play different roles: they create suspense or lead to a flash back. But fogs are real and they are made up of something. Fog is basically comes from a cloud that has come close to the Earth’s surface. A fog is formed in the same way as a cloud. Water evaporates from the many bodies of water of the Earth’s surface: rivers, lakes seas, oceans. Water evaporates as water vapor. As this water vapor rises it turns into gas, and blends with dust and other little particles. What results is a water droplet. These droplets stick together and then you have fog. At times we have a mist, which is thinner than fog. When water evaporates from the ocean, rivers and other bodies of water give off water vapor. That water vapor is a gas. As it rises up in the air, it can bond to dust particles or any other type of microscopic pollutant. This causes water droplets. When the water droplets group together, you get a cloud or some fog. Mist is also the same as fog, but it is not as thick. When humidity rises to almost a 100%, fog is formed. Aside from that, fog formation requires that the difference between dew point and air temperature should be 5 degrees F or slightly lower. In this condition water droplets jell together and become too heavy to rise any higher. There are more or less twelve kinds of fogs, but the most common are radiation fog, ground fog, steam fog, evaporation fog, and valley fog. Radiation fog is formed when land cools off after sunset. This cooling effect is caused by the sky’s thermal radiation. 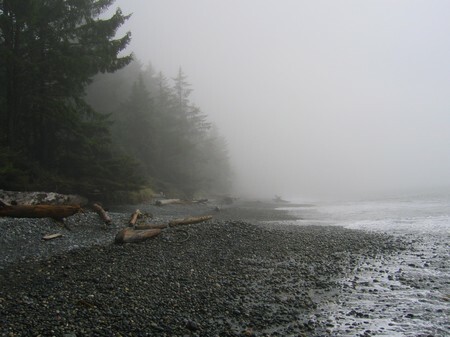 When the sky appears unclear and cloudy, it must be caused by ground fog. 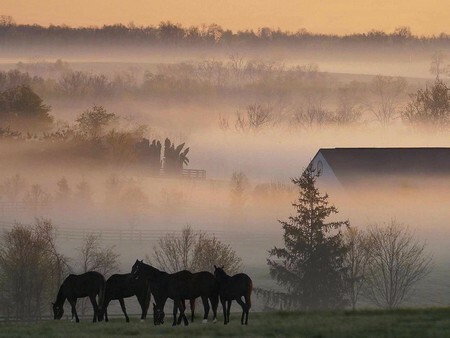 Ground fog can hide about 60% of the sky. Steam and evaporation fog are one and the same. They are formed when cold air passes over a wet expanse of land and crosses over humid water. By its name you can tell that valley fog forms over mountain valleys at the start of winter. This is a result of temperature reverse in which cold air descends on the valley while warm air rises up to the mountains. Whether the terrain is flat, jagged, or stiff, fogs form anyway. They are not affected by the topography of the place. The only conditions that lead to fog formation are wind, moisture, and sky. In some cases, when the terrain is flat or jagged fogs may not form, even when lights winds are present. Light winds hold back fog formation over a flat area but they can form over places that are far from light winds. Don’t confuse city fog with smog: city fog is what you see over Los Angeles skies, and that is because LA has a number of upslope areas. You can see upslope fog over the Rockies. Upslope fog needs a warm surface below and brisk winds above. Los Angeles has strong winds on its western side that meets up with the eastern winds coming from Denver. As the wind goes up the slopes of LA, it cools down beyond the dew point and fog is formed. But when the wind goes out, the fog goes with it. While city fog is nice to look at, you shouldn’t breathe it in—unless you want to get sick.